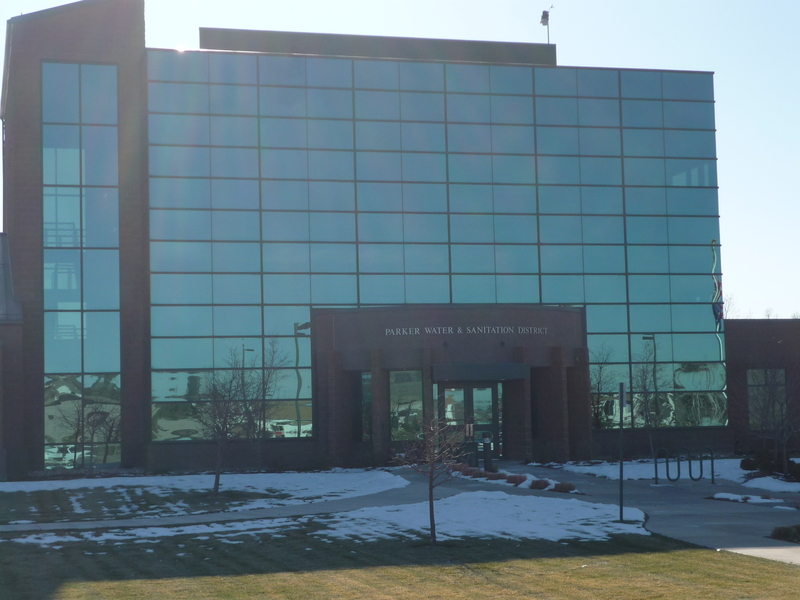 Situated twenty miles southwest of Denver, the Parker Water and Sanitation District began back in 1962 and has grown over the years to serve more than 22,000 Colorado residents. The District’s mission is to deliver clean, high quality water to its customers, and then manage, operate and maintain the 150 mile long sewage collections system that safely transports it all back from their homes and businesses to waste water treatment plants. The facility includes two activated sludge waste water treatment plants that can treat up to 3.5 million gallons per day. The waste water system is assisted by four lift stations located at the North Water Reclamation Laboratory. The main administration building and laboratory combined house over 22,000 square feet of office space, regulatory compliance testing labs and critical operational equipment. Parker’s environmental objective for facility operations includes protecting its nonrenewable natural resources, water conservation and exceeding the rigorous compliance standards set by the state of Colorado and the federal government. As most facility managers can attest, Mother Nature doesn’t always adhere to those same objectives. Parker’s administrative office and largest treatment facility, as well as a variety of outlying buildings, holding ponds, aeration tanks, wells and pumping stations lie within an area that is dominated by large cottonwood trees. During the summer months and throughout the fall, the beautiful cottonwood trees let loose their white fluffy seedlings. The treatment facility utilizes 2 large 33 and 46 ton self-contained roof top HVACR units for heating/cooling office and meeting space. These systems, along with a variety of others, also maintain temperatures for critical operational equipment, like energy efficient variable frequency drives and high horsepower well pumps that generate a great deal of heat. These RTUs were sucking the airborne cottonwood seedlings into their air intakes at a rate of 10-23,000 cfm, causing significant problems with the equipment’s interior filter life, reducing critical air flow and increasing maintenance associated with frequent coil cleaning. 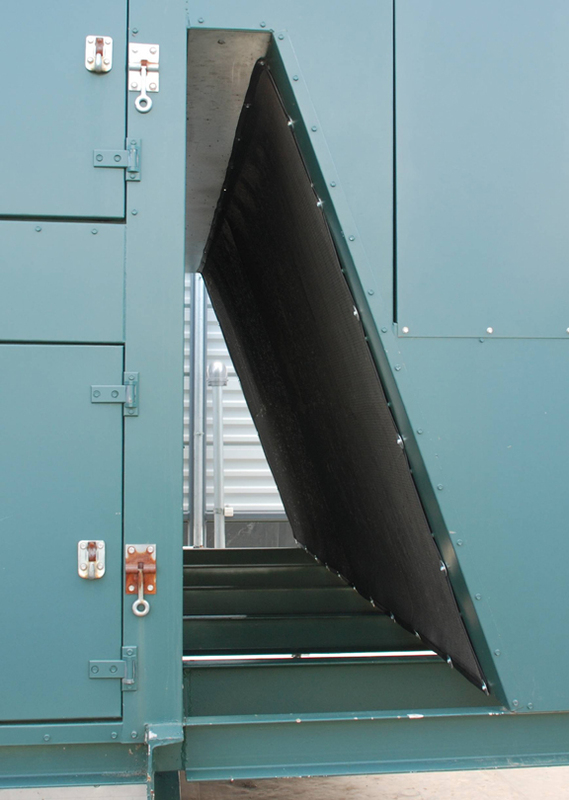 The facilities air handling systems use filter banks containing multiple Airguard DP40 24″ x 24″ x 2″ pre-filters and Airguard V-Force 24″ x 24″ x 12″ final filters. While management is happy with the current filtration being used, they also wanted to find out about adding a pre-filtration option to keep the cottonwood from shortening the life of the high efficiency pleats, which were lasting only a few days when the debris was at its worst. Maintenance staff also needed to minimize the messy and time consuming need to repeatedly chemically clean the unit coils. Parker’s maintenance superintendent, Angelo Carrieri, called in long-time filter supplier Chad Kenoyer, territory manager for Total Filtration Services to recommend a cost effective solution. Based on the HVACR units and their geographic locations, Permatron’s PreVent® Equipment Protection Filters were determined to be the most effective solution. The process began by testing PreVent UV protected black polypropylene air intake filters on the two largest RTUs early in the cottonwood season. The filters were placed over both the intake and coil sections of the units. After a month of operation in the field, the maintenance staff was so pleased with the filter’s performance that they ended up installing additional PreVent filters on the remaining 25 smaller units ranging in size from 5-20 ton RTUs. Custom sized to fit each unit and finished with a vinyl edge and grommets, Parker’s maintenance staff was easily able to install the filters themselves. The cost-saving results speak for themselves. The initial investment in pre-filtration paid for itself in the first season. The new filters, which will provide many years of air intake protection, cost the facility about $2,800. During prime cottonwood season (May-October) air filters were being changed every 2 weeks, and every 2-3 months during the winter. Instead of 2-3 people spending 4-6 hours working on the systems every 2 weeks, the facility now requires only 1 person spending 1 hour per week keeping all of the RTU systems running at peak efficiency. 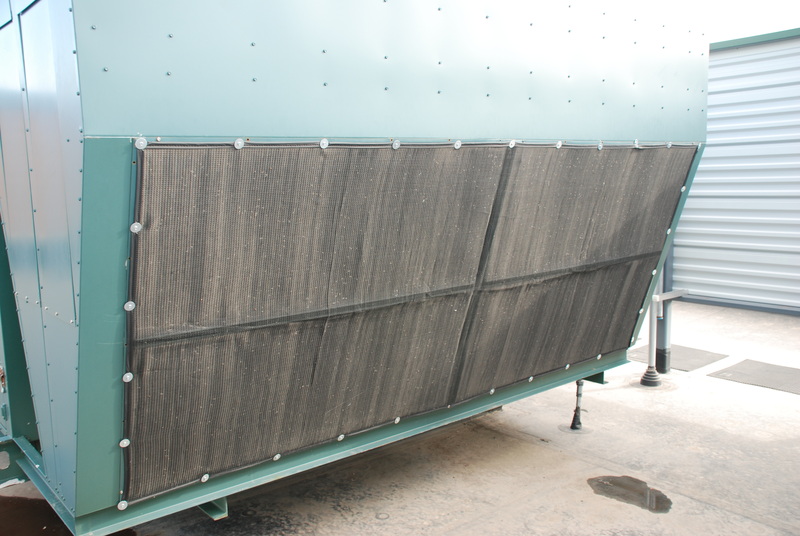 Utilizing PreVent air intake filters has reduced maintenance, system downtime and filter change-outs by almost two-thirds. Given today’s economic climate, finding significant cost saving yet simple solutions like PreVent is a great way to help meet the budget.